Get your stomach and wallet ready. As a San Francisco native, I (along with all those who helped me compile this list) know the ins and outs of finding good, relatively cheap food in the City by the Bay. 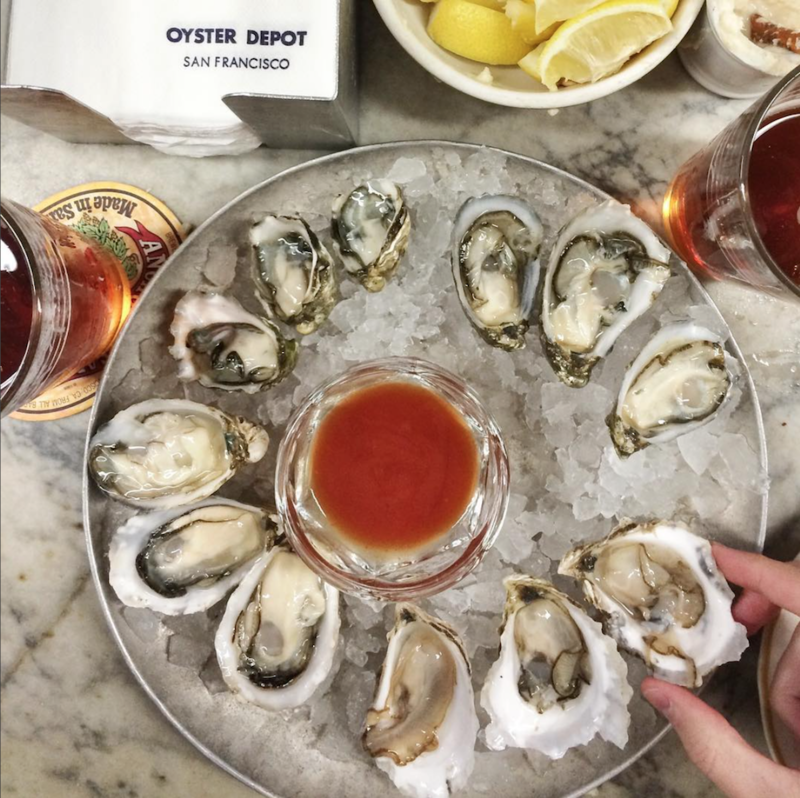 SF may be known for its sushirritos, normal burritos and ample brunch for any day of the week, but this list goes deeper than any tour guide and gives you a true taste of how unique, diverse and delicious San Francisco’s food scene really is. 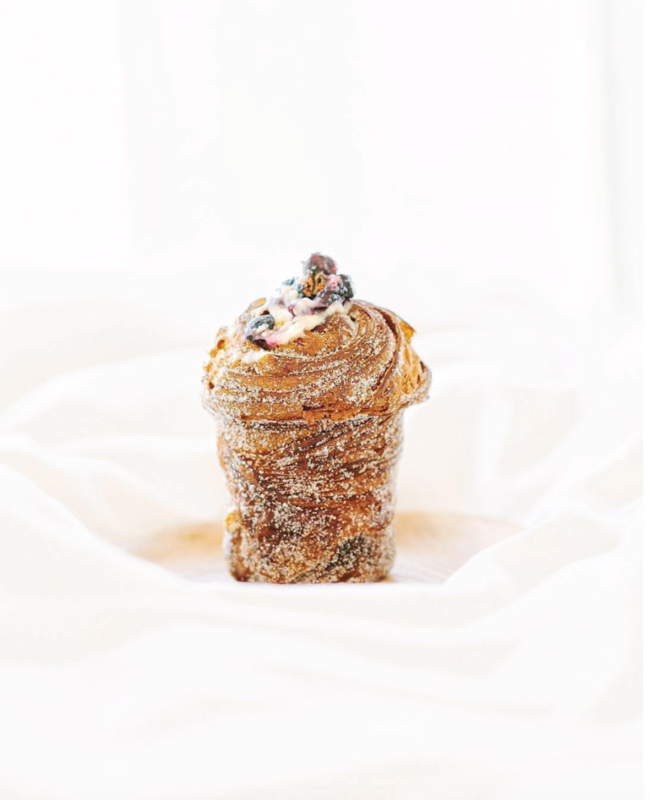 This combination between a croissant and muffin is a genius combination that has people waiting in line early every day. Don’t let that deter you though, the wait is 100% worth it and you will be wondering why nobody has made this sooner. Burritos in San Francisco are all unique and delicious in their own ways, but La Taqueria’s carne asada burrito is one of the most highly praised in the city. 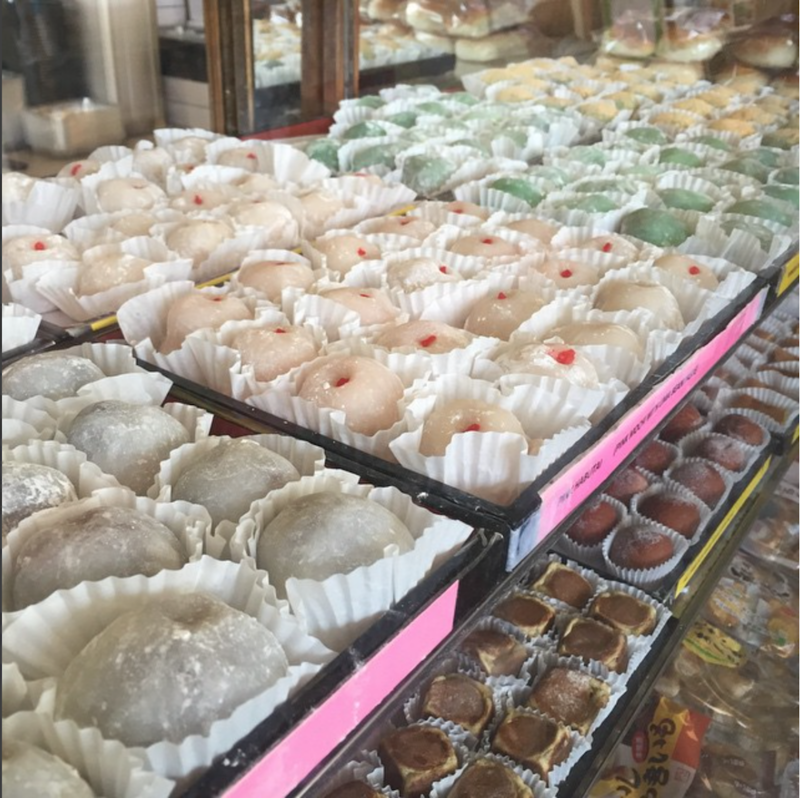 This family-owned establishment makes its mochi fresh daily and is definitely worth checking out and trying one (or many) if you want some tasty mochi. This small seafood bar not only has fresh, clean oysters, but cuts the sashimi right in front of you, which makes it a must-try. 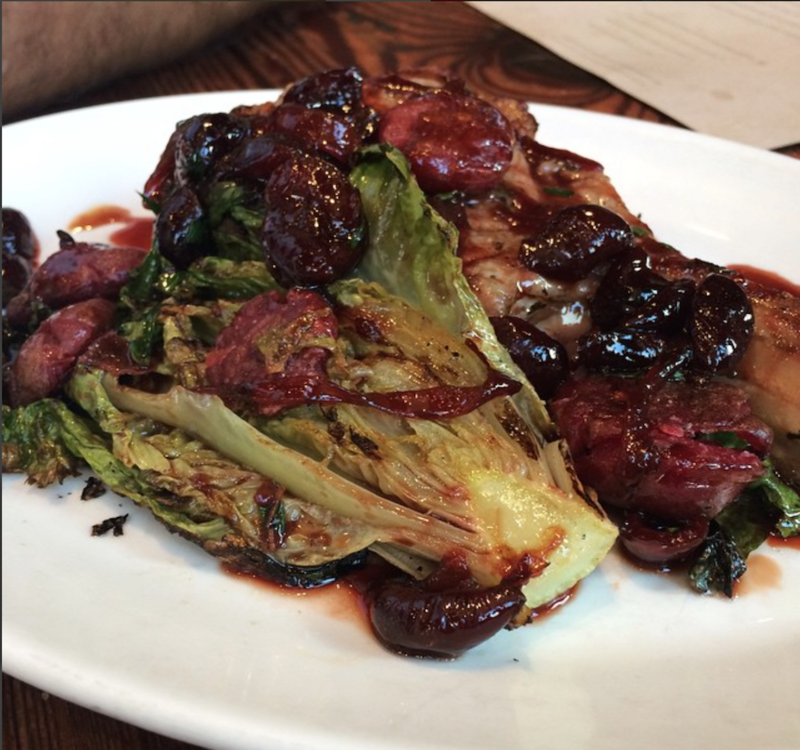 One of the most raved about items at the ever popular NOPA is worth trying. 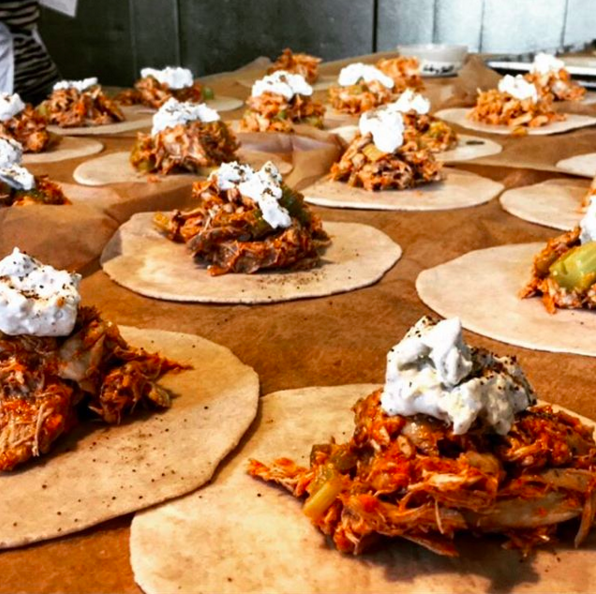 But if pork isn’t your thing, their locally-sourced food and wood-fired creations are bound to have you dying to try their whole menu. 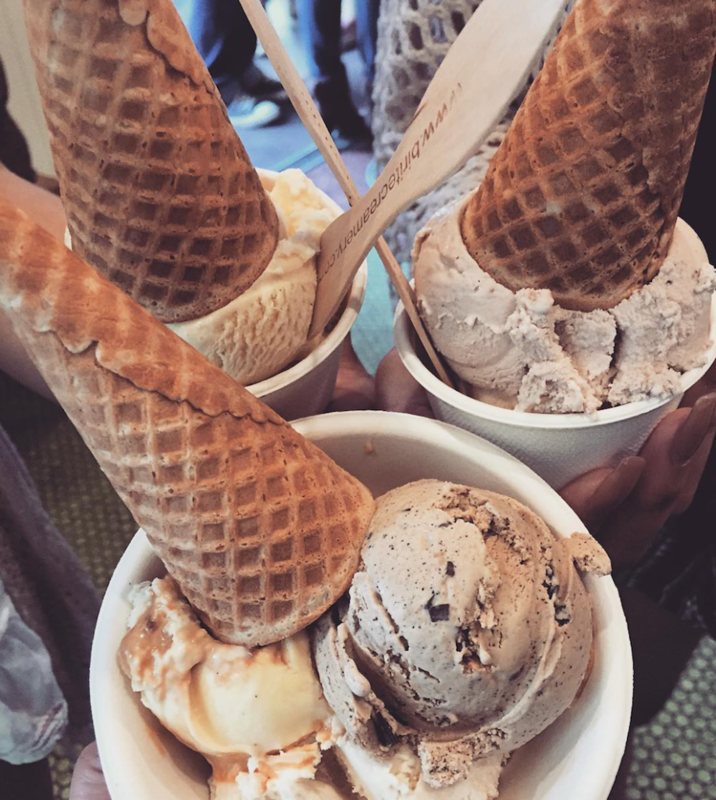 A favorite among San Franciscans, the ice cream from here is to die for. I’d recommend the salted caramel flavor, but the rich and creaminess in all of their flavors makes any flavor a good choice. If you’re looking for fresh, vegetarian pizza with an amazing crust, Arizmendi’s got your back. Even if you’re a meat lover, I can guarantee you’ll enjoy a slice of their cheesy, delicious pizza. Not feeling pizza? 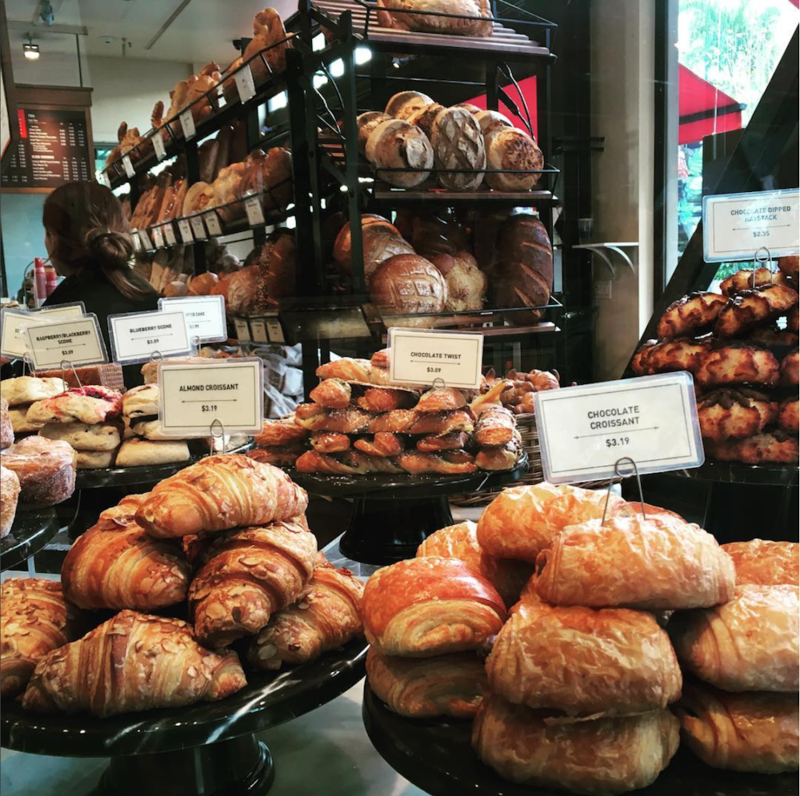 Don’t worry, this bakery also has a wide variety of breads, pastries and other breakfast items. 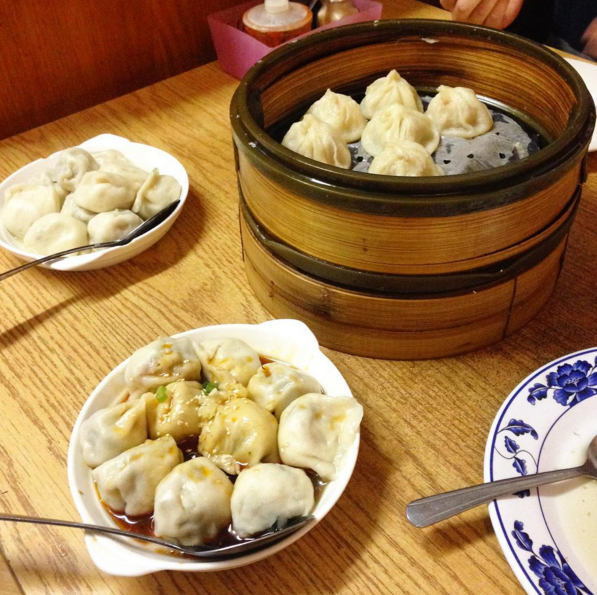 City View specializes specifically in dumplings and boy, do they know what their doing. They are only open for lunch hours though, so make sure to order lots of dumplings so you’ll be satisfied the rest of the day. 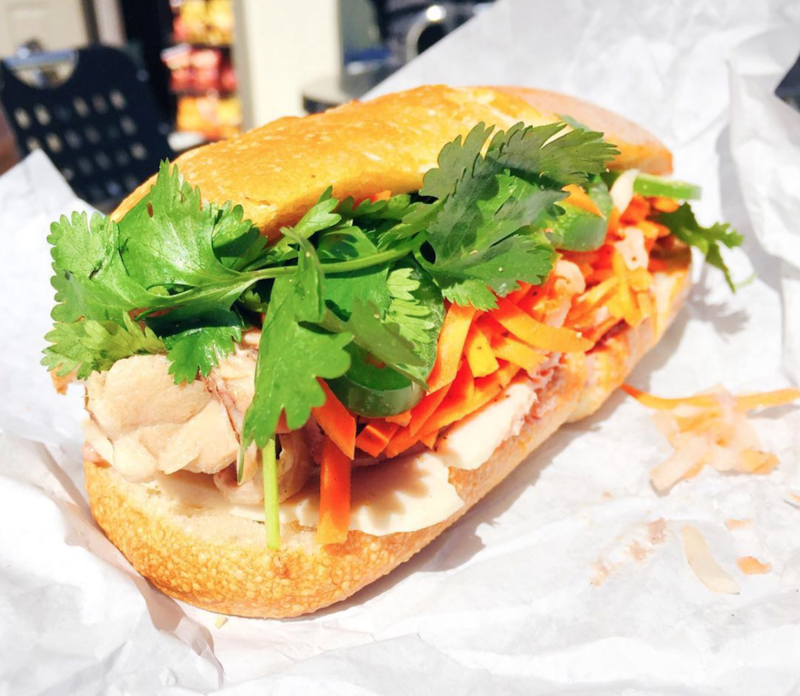 This small Vietnamese sandwich shop may be a hole in the wall but don’t let that deter you, their banh mi is impressive. With great tasting pork as well as other fresh ingredients, these sandwiches will fill you up and make you want to come back again. Only a couple of blocks from Ocean Beach, this small coffee shop knows how to make some great tasting coffee. 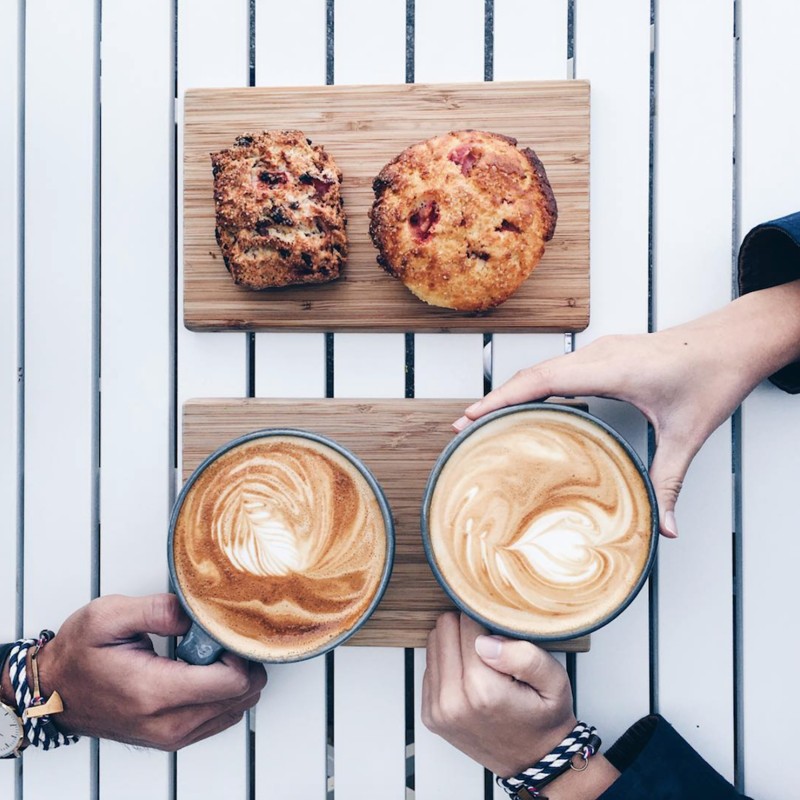 Their coffee definitely will wake you up in the morning and their Irish soda bread is some of the best in the city. Not a restaurant, but this SF market chain has fresh local produce and ingredients that make for tasty sandwich. 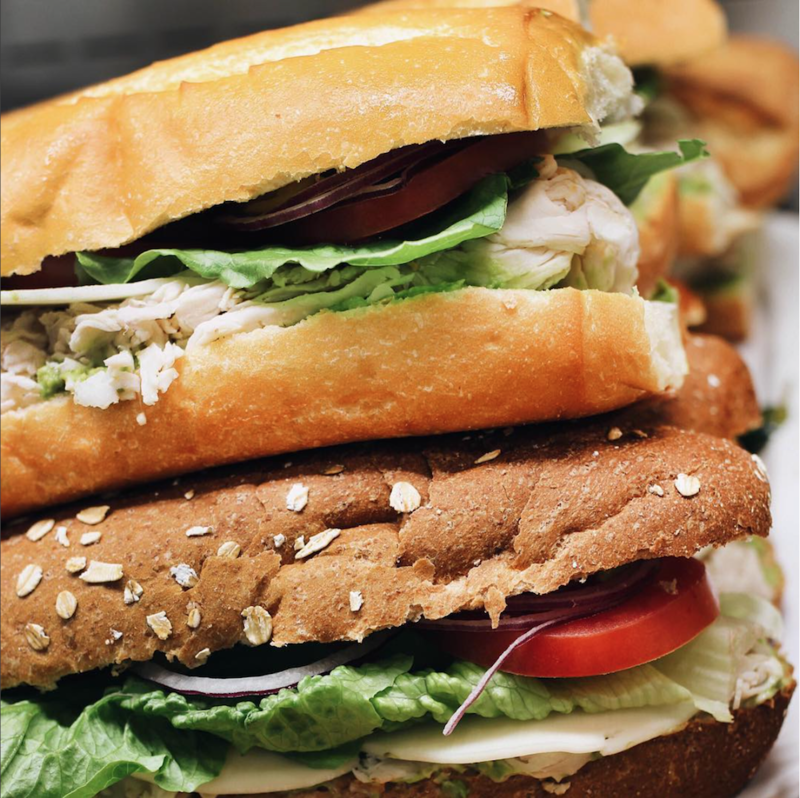 If you’re looking for a quick bite to eat where you can grab it and go back to class, their sandwiches are a must. 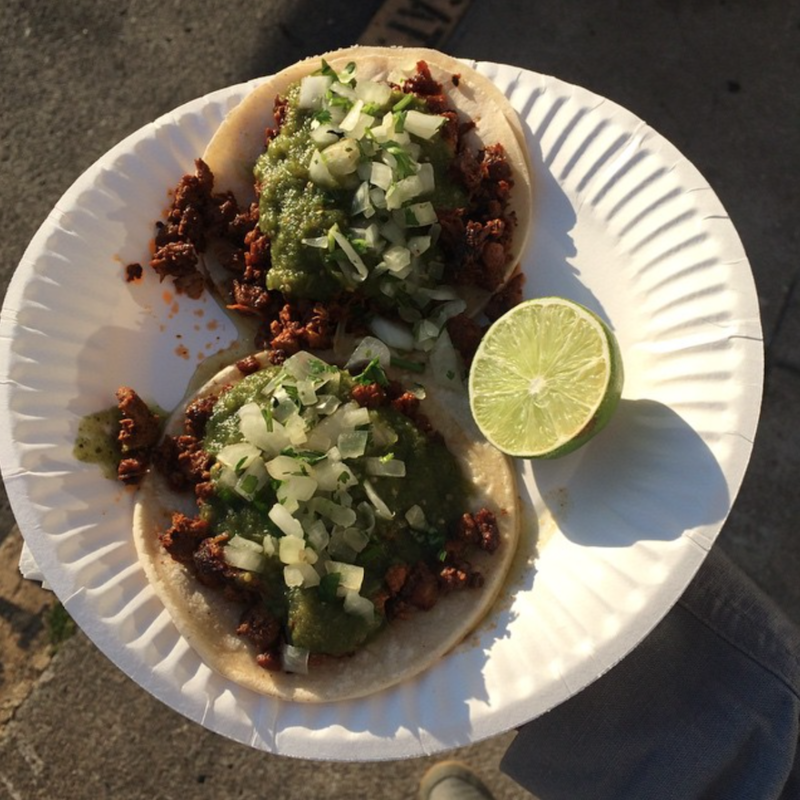 This Mission-based food truck leaves nobody disappointed with their simply delicious tacos. 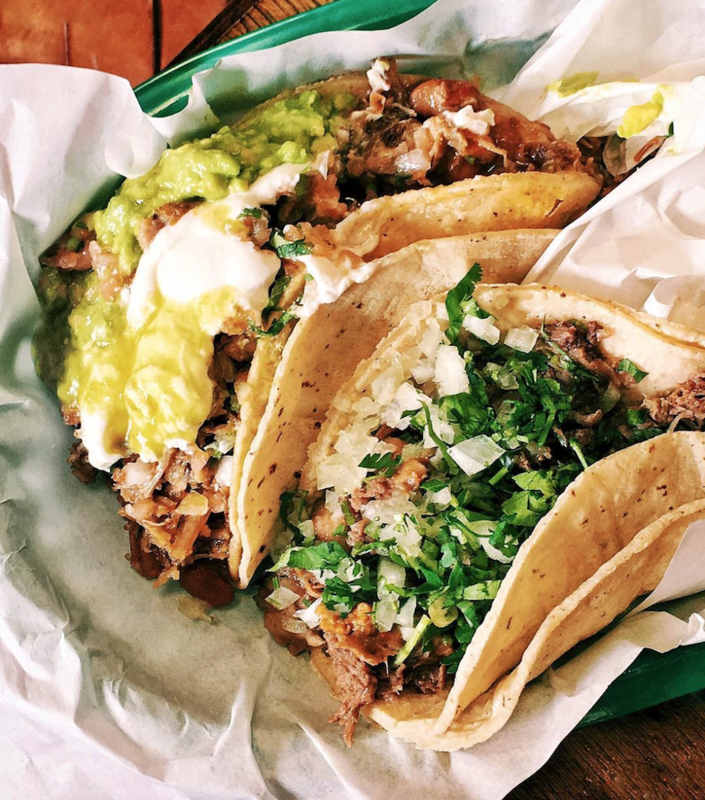 The perfectly-sized tacos with quality meat, onions and cilantro make for a quick, cheap and delicious lunch for anyone who enjoys a good taco. 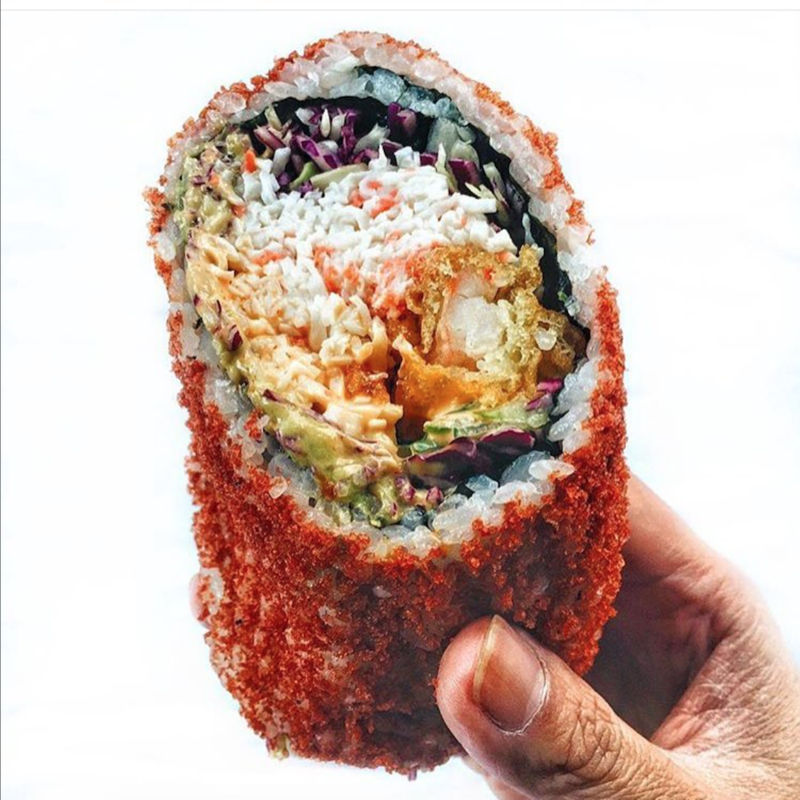 Although sushirritos aren’t unique to San Francisco, this is the place that started the trend. The Sumo Crunch, which has shrimp, crab and more, is a crowd favorite for a reason, but make sure to get there early to assure you’ll get exactly what you want. 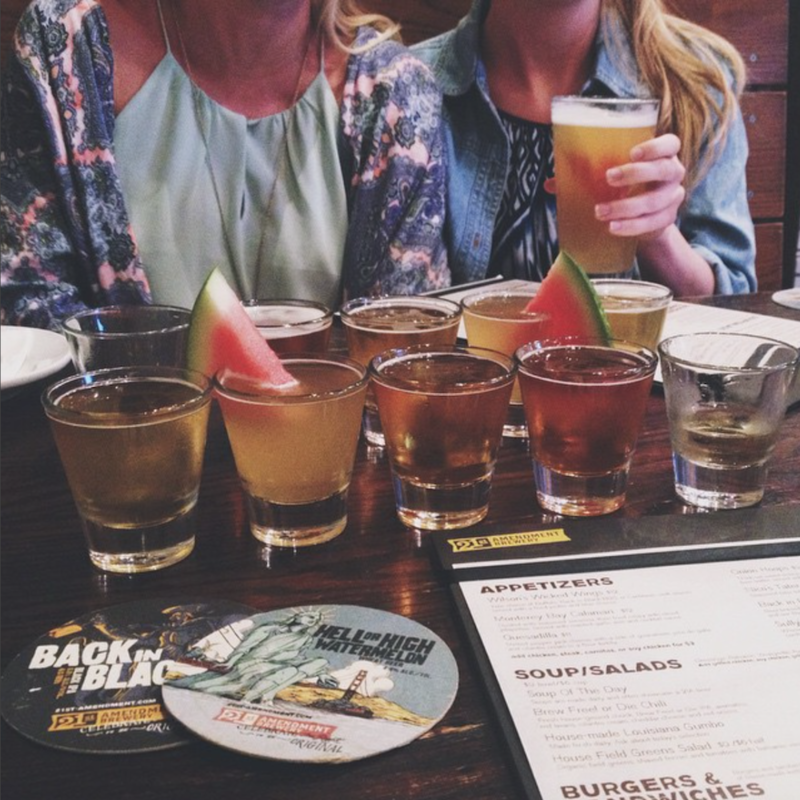 Yes you read that right, Watermelon beer. This local SF brewery is known for it’s locally brewed beer and the summer-only Watermelon beer. You may have your doubts, but it’s definitely worth a try with a side of wings or any food from their restaurant. 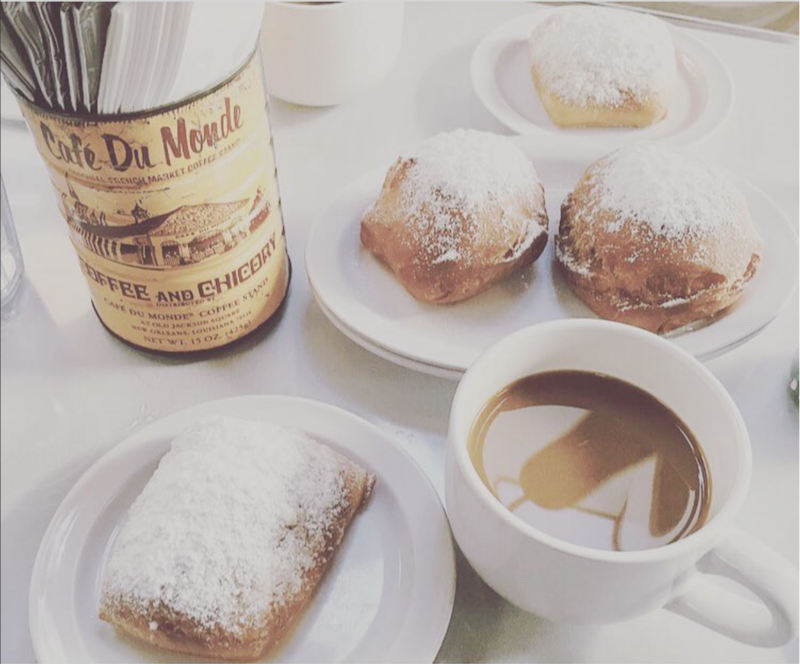 Brenda’s has breakfast, lunch and dinner, but it takes the cake for the some of the best beignets in San Francisco. The chef, who’s from New Orleans, shows us SF natives how brunch is really done, and boy you’ll be impressed. 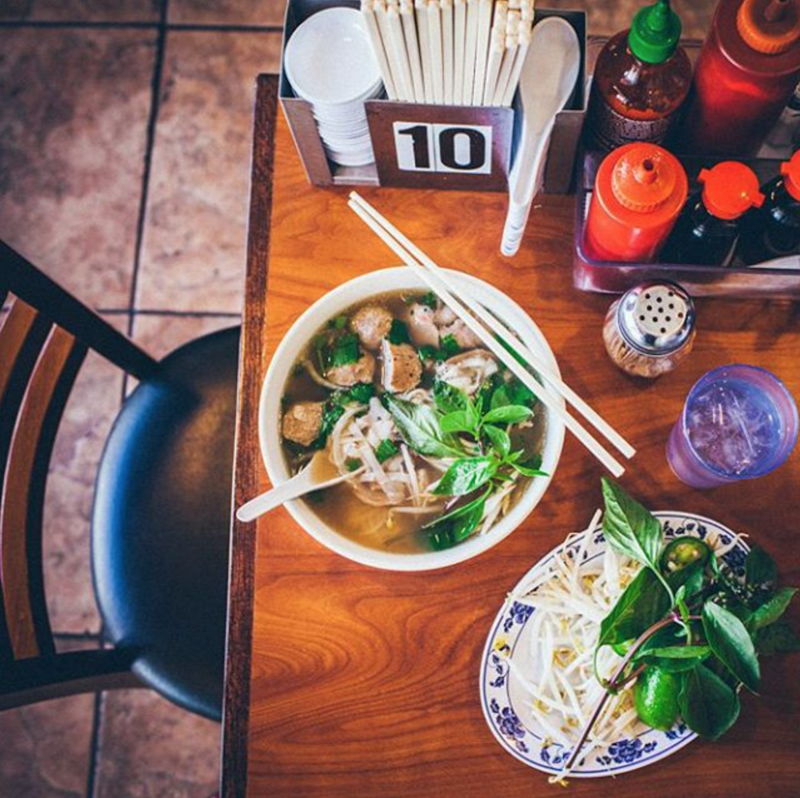 This Bay Area chain has flavorful, well priced pho that will keep you coming back for more. Their beef balls and steak pho is a favorite (for good reason), but any of their options are full of flavor and will satisfy your pho cravings. Yup, deep fried french toast, what more could you want? 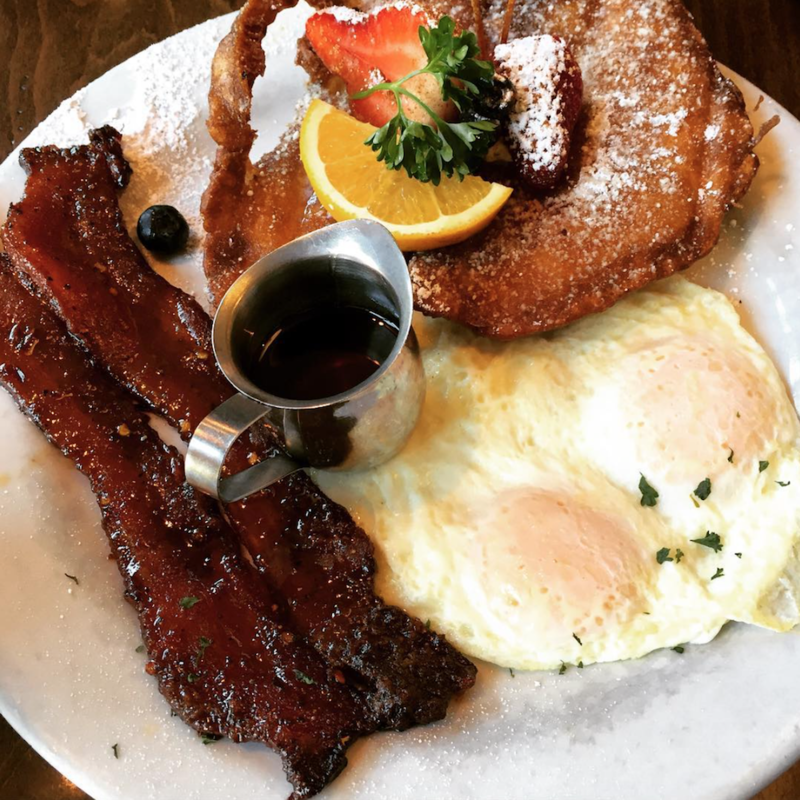 Sweet Maple is famous for this dish, but they have plenty of other brunch meals if you’re feeling like something savory. 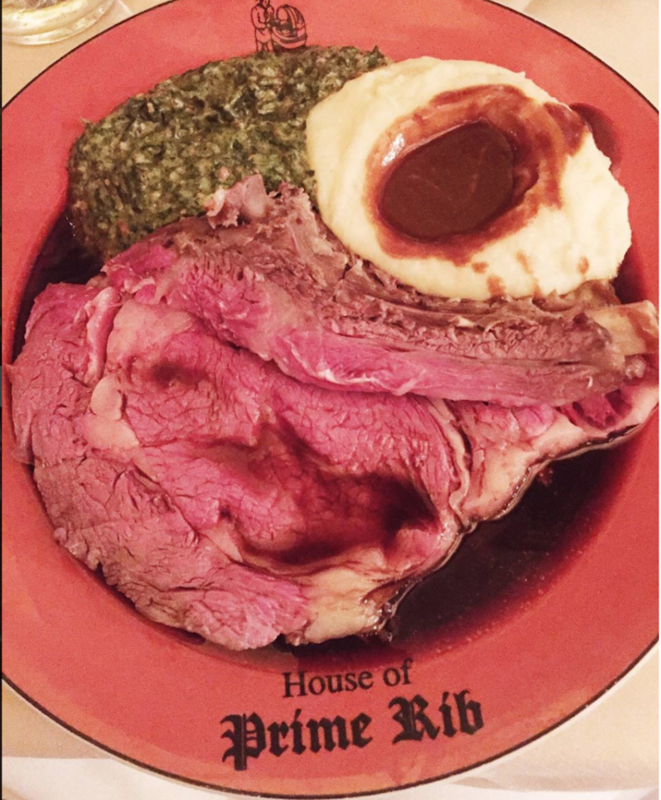 A must eat for anyone in San Francisco, this restaurant has been around for a while and can make a prime rib that will make vegetarians want some. 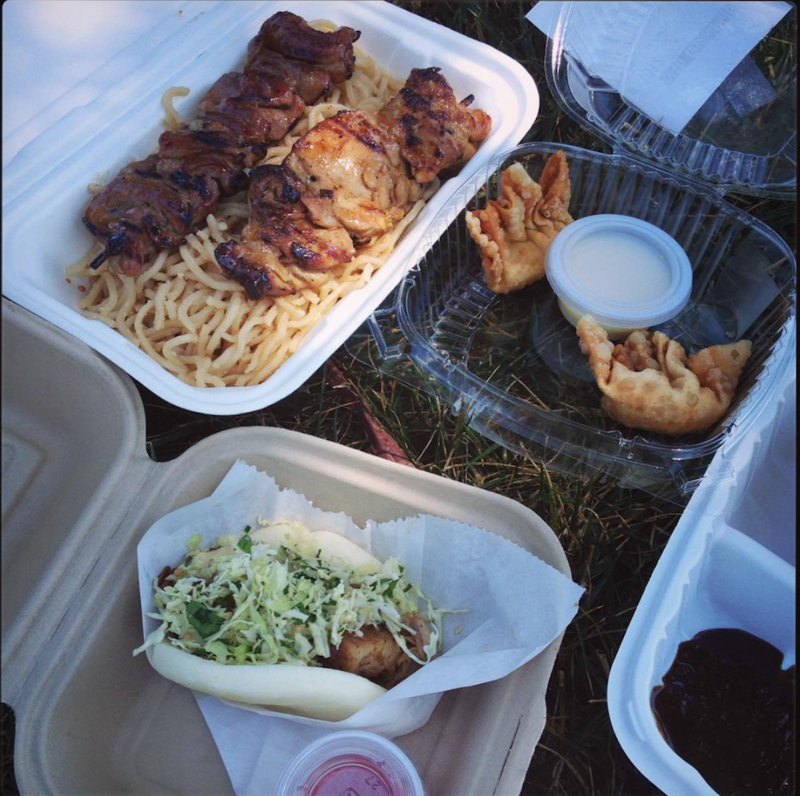 Now it may be a bit harder to find, but if you go to Off The Grid SF, definitely give their garlic noodles a try. You get a hefty amount of food for a fairly low price and their noodles are flavorful and are an upgrade from your normal dorm ramen. 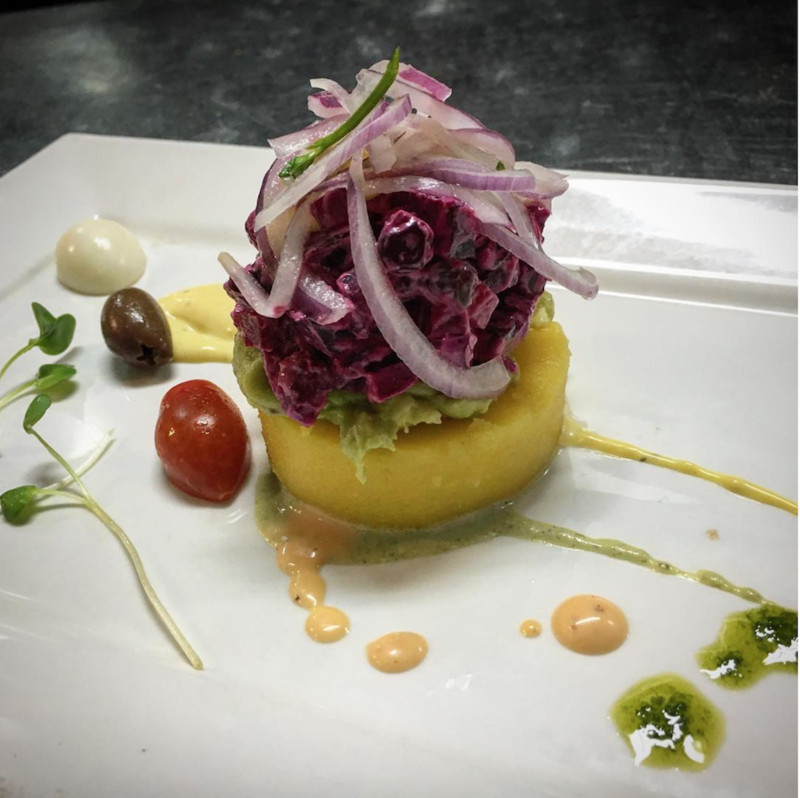 Fresca, a Peruvian restaurant, has brunch, lunch and dinner, but I’d recommend going for lunch or dinner. Their ceviche (and specials in general) are going to be different than what you’re used to (if you haven’t had Peruvian before) but definitely in a good way. Yes, another breakfast place, but San Franciscans know their stuff when it comes to breakfast and brunching. 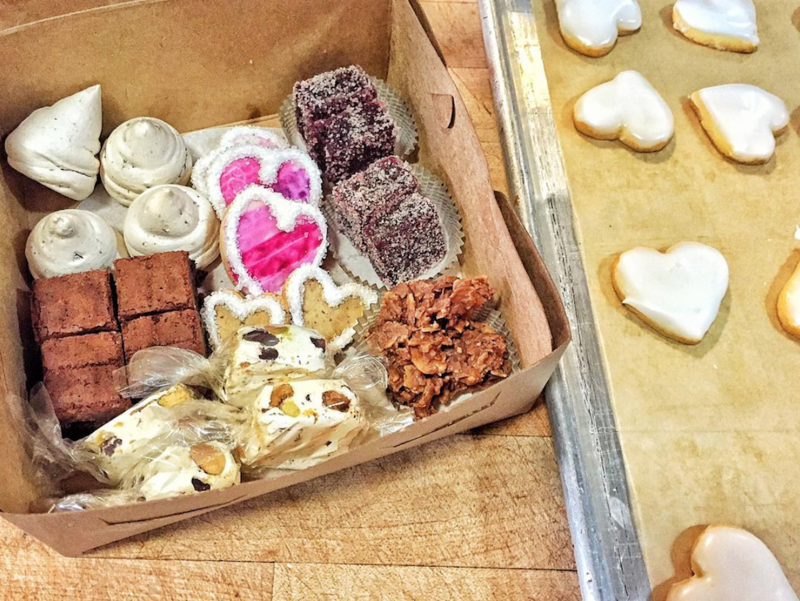 Tartine is a very well known SF bakery, and for good reason. 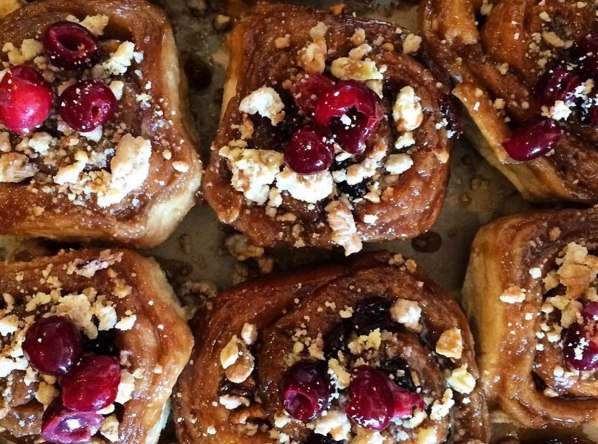 Their scones and other pastries are in their own category of amazing. 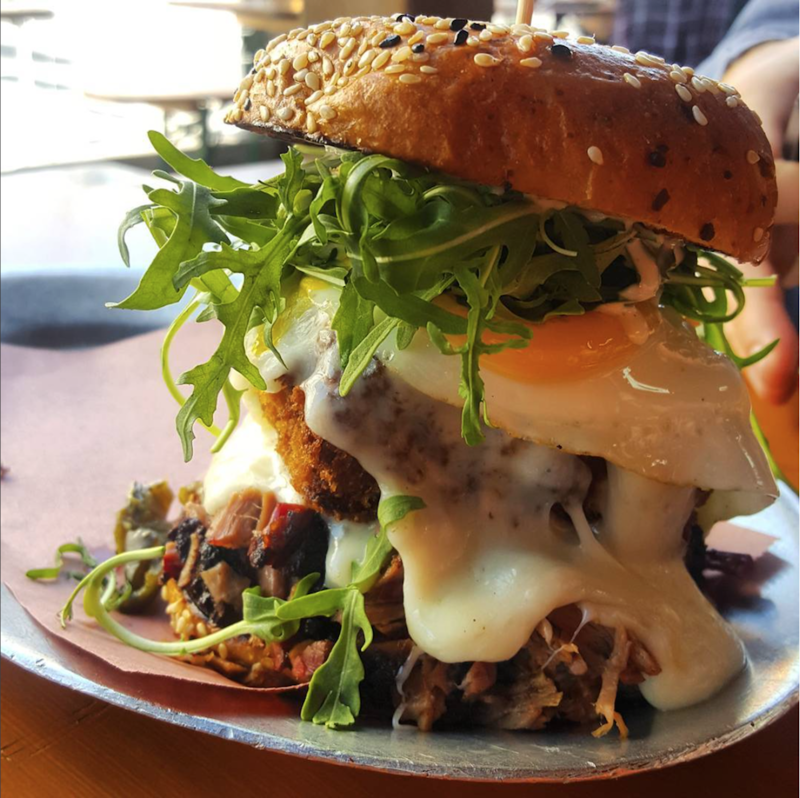 4505 meats dedicates all their energy into getting some of the highest quality (and tastiest meats), so their food is bound to be good. You can get a plate of meat with a side, or I’d recommend one of their burgers which are quite fantastic. 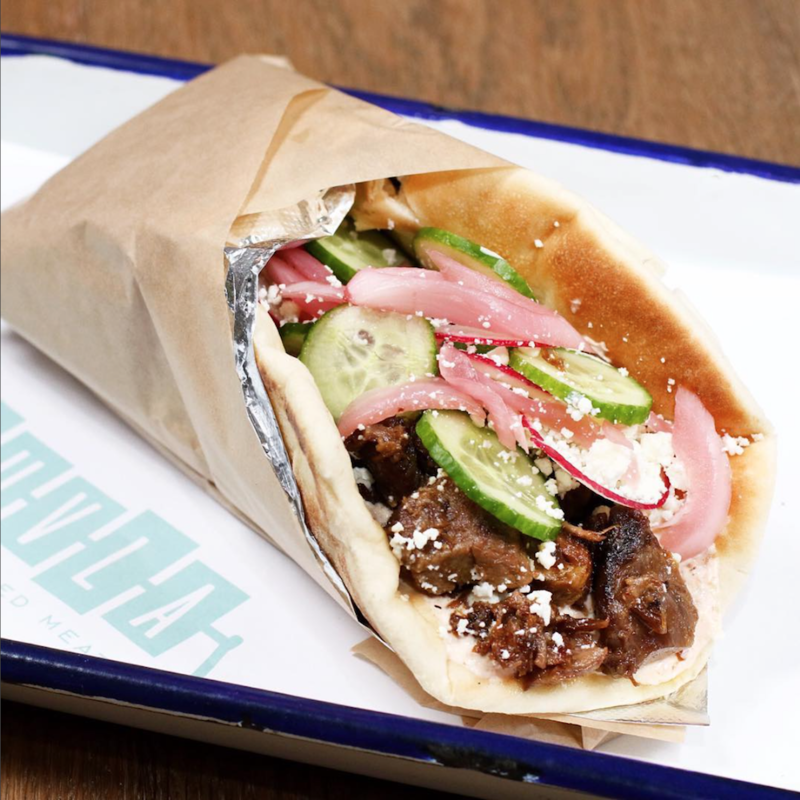 Souvla is a Greek sandwich shop that brings great meat together with Mediterranean flavors that will make your heart sing. Grab a sandwich and a glass of wine with your friends and it’ll be a lunch break well spent. 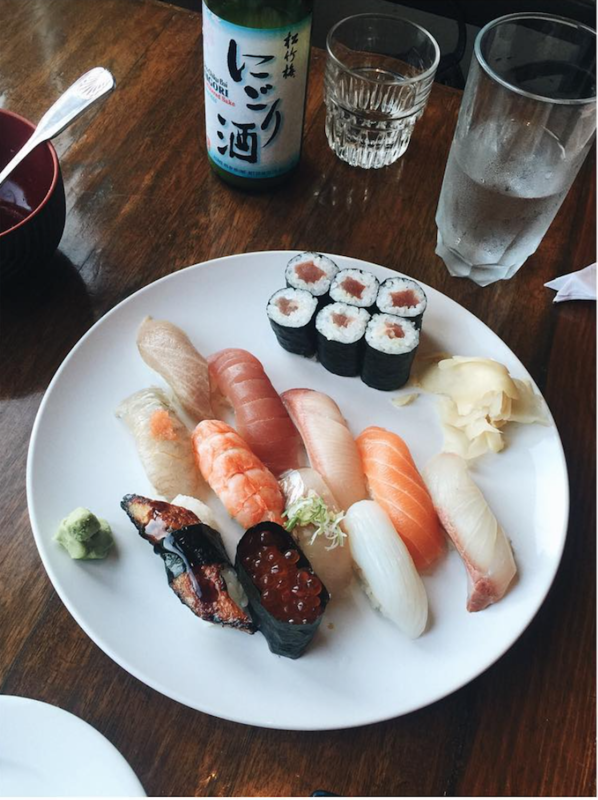 A small sushi restaurant in the Castro, Eiji makes some great sushi with high quality fish and ingredients. One of the non-touristy sushi restaurants you’ll find in SF, and once you’re done with the sushi their strawberry mochi is worth a try too. Another SF based company, Boudin’s sourdough bread is some good stuff. If you find yourself near one of their locations, definitely go in and buy a loaf (or five) because you’re not going to find that good of bread elsewhere in the Bay. This small, sustainable deli can make you like salads, I promise. 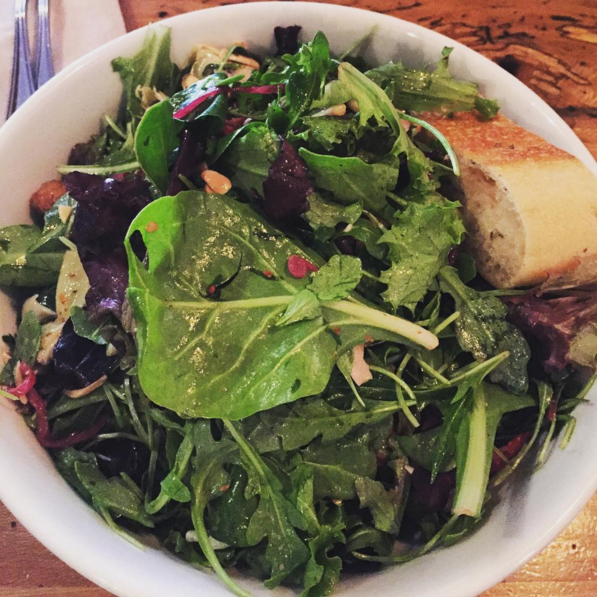 Their super fresh ingredients and delicious combinations turn your idea of a salad into something that tastes great, fills you up and is good for you. There are many juice shops in the Bay Area, but Sidewalk Juice is definitely one of the better ones for a good price. 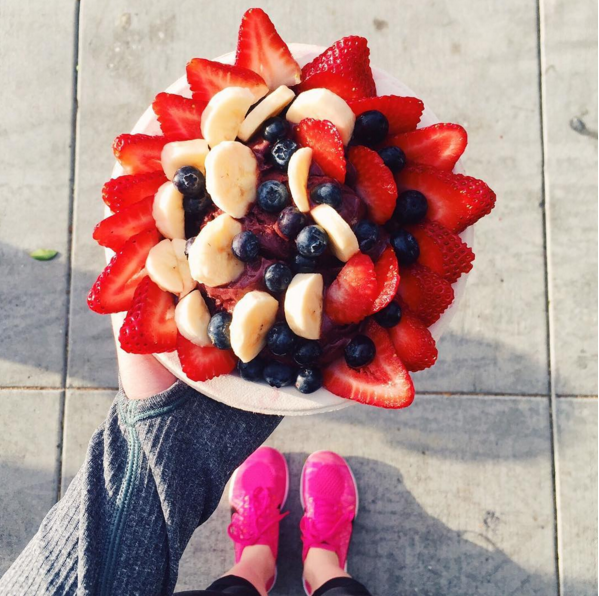 With a wide variety of smoothies to choose from, they are definitely a great snack option if you’re in the neighborhood. I know this isn’t a SF exclusive, but it did start here in San Francisco. 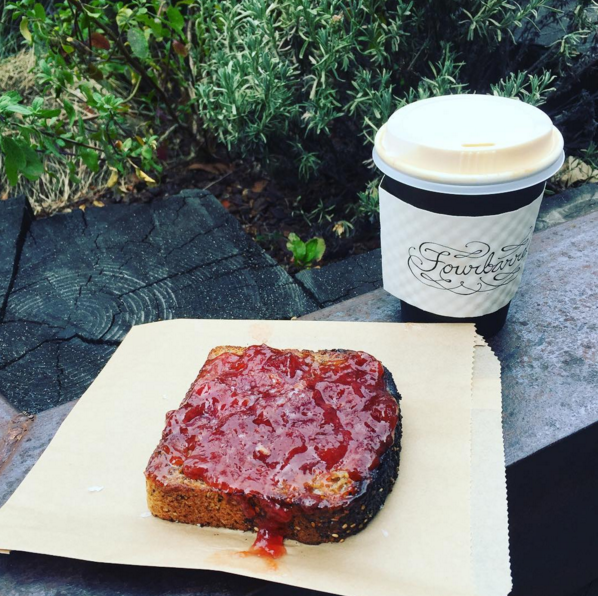 You have to try a cup of their infamous coffee and while you’re there pick up one of their Caramelized Belgian Waffles to complete your breakfast. This traditional Jewish deli brings bagels, bread and sandwiches to a whole other level. 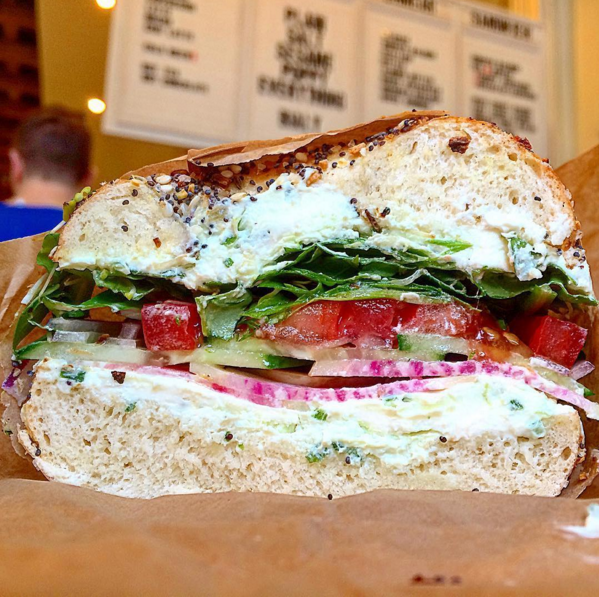 Pile your bagel high with fresh ingredients (or just cream cheese) and you got yourself a great lunch. If its passover, don’t worry, the Wise Sons will substitute maze for bread. 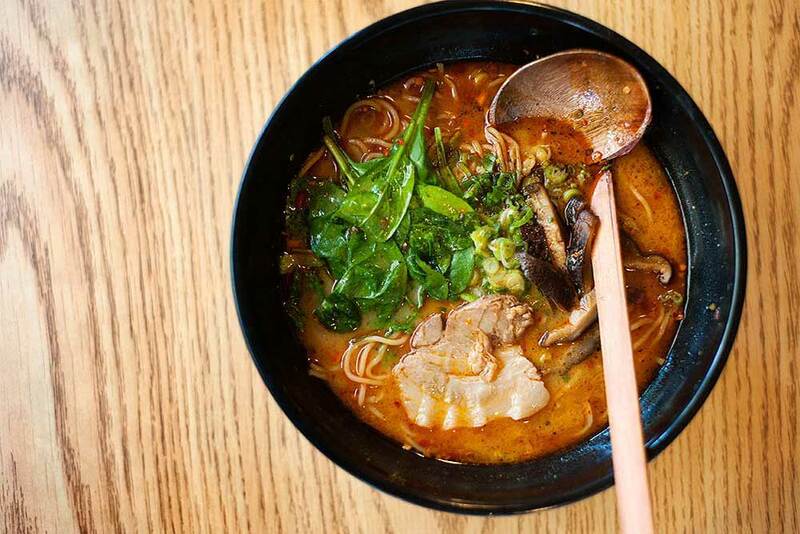 Ramen Underground gives you an upgrade from your normal dorm ramen, with a variety of broths and toppings to choose from. I’d recommend trying the Spicy Miso Ramen for a little bit of kick, but you’re not going to go wrong with this fast, cheap and tasty ramen restaurant. This Spanish restaurant right on the waterfront of the piers has not only an excellent view of the Bay, but authentic Spanish food. Tapas, basically small plates of food, are very common in Spanish cuisine and I’d recommend ordering a variety to get the full experience. This soda-fountain style ice cream bar has that classic, 1950s vibe that’ll make you enjoy the food even more. Their ice cream is solid, though their milkshakes really hit the spot. So if you’re looking to grab some ice cream with some friends and just hang out, consider the Ice Cream Bar. 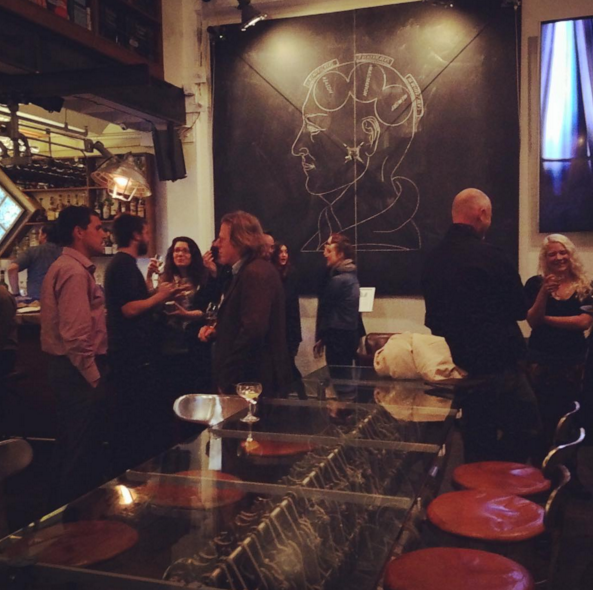 This unique bar, museum and cafe creates a bar experience that you’ve experience before. With a wide variety of cocktails to choose from and it’s picturesque location in Fort Mason will make your night that much more fun. The Cliff House is perfectly placed next to Sutro Baths while also looking over the ocean, giving you a great view while you eat. 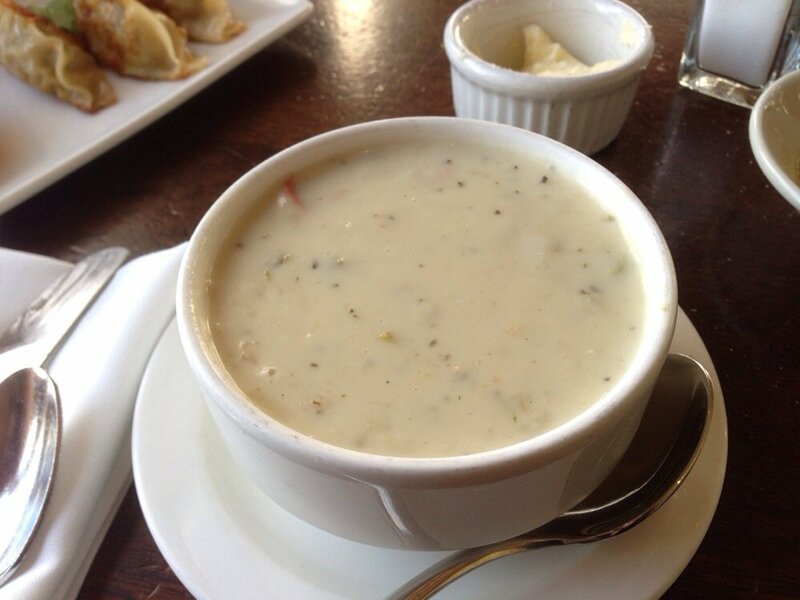 Their clam chowder is one of the more popular items on the menu, and for good reason. Another delicious dumpling place in San Francisco, you can’t go wrong with anything you get here. Their xiao long bao, or soup-filled pork dumplings, are a must try for anyone who wants to truly experience their food. Ah yes, the infamous $4 toast. Now some of you may scoff at the price and how The Mill isn’t even that good, but I say give it a shot. Their bread is well made and tastes great, so if you’re in SF, you might as well see what the hype is about. 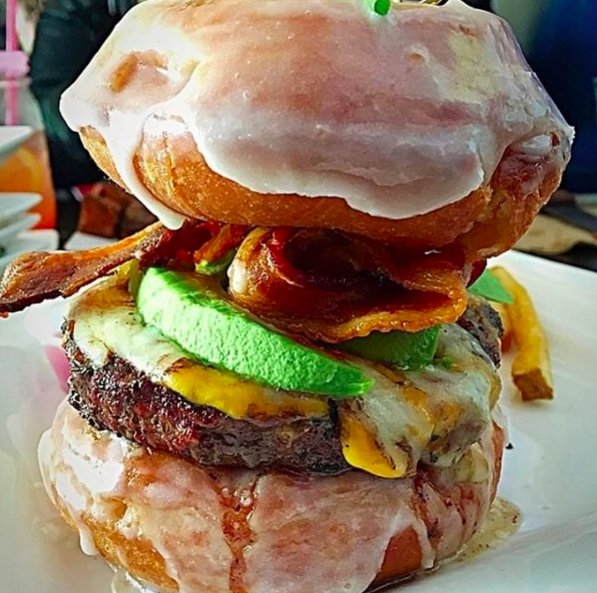 Straw has mastered the infamous doughnut burger is a basically a cheeseburger sandwiched between two donut buns. 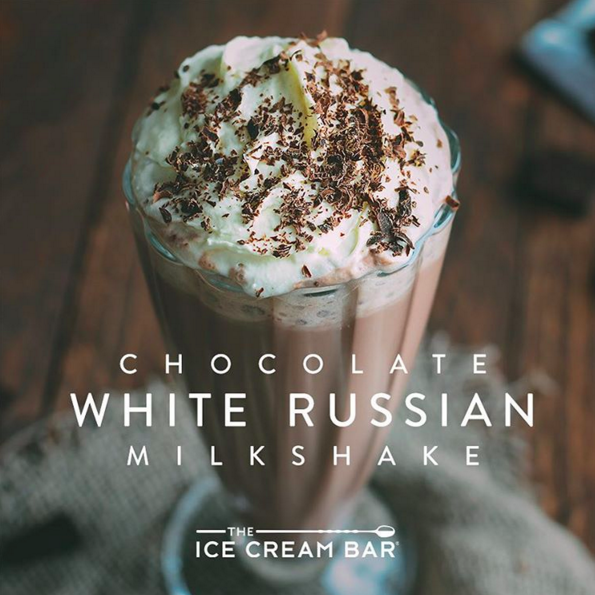 Now you may be skeptical about the wildly different flavors, but give it a try, this creation might pleasantly surprise you. 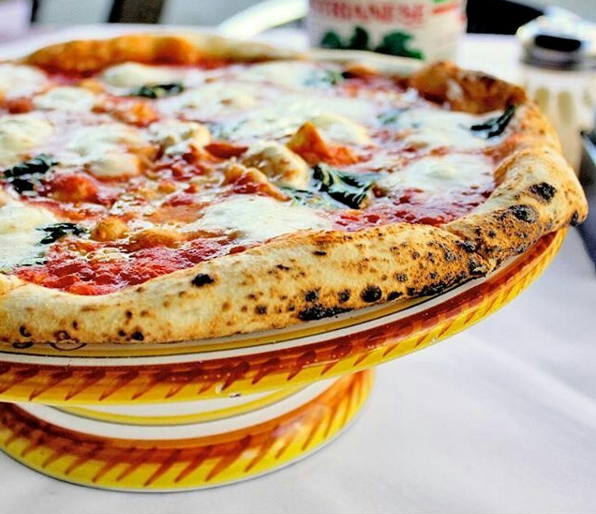 This award-winning Italian restaurant specializes in pizza, offering pizzas cooked in different manners at different temperatures for the ultimate pizza experience. 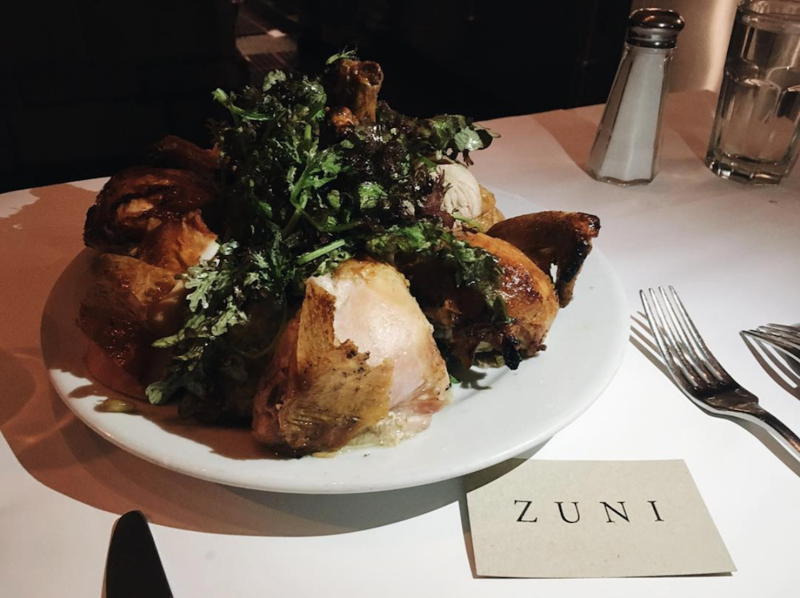 Zuni’s unique architecture and “vibe” bring the experience to new level. 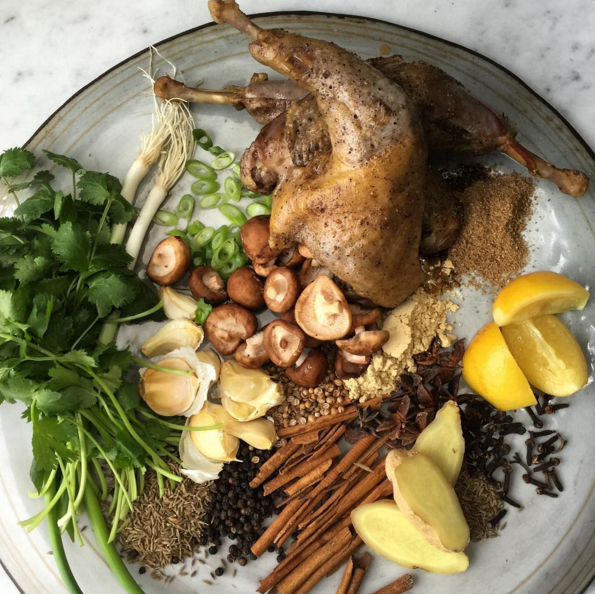 Although it’s a little on the pricier side, their wood-fired roasted chicken and other specialties taste magnificent. This restaurant offers a wide range of options from curry, soups, salads, seafood and more. 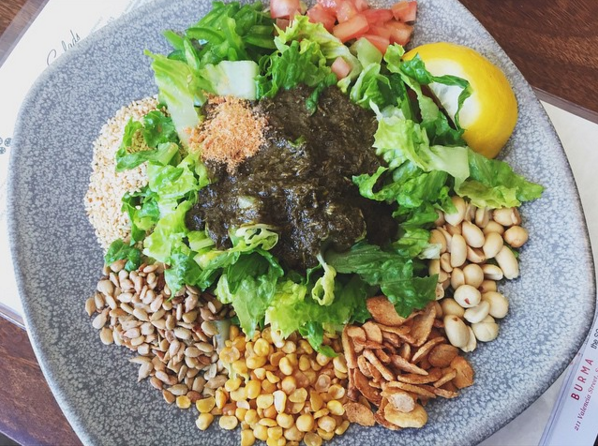 Burmese isn’t a food you see on every corner, but Burma Love has nailed making Burmese food delicious for everyone, even if you haven’t tried it before. 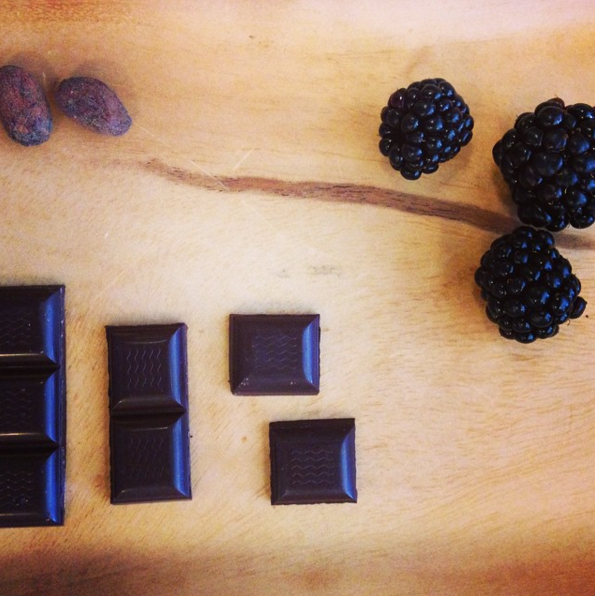 This “bean to bar” chocolate factory is dedicated to making some great tasting chocolate with an Indian influence. Check out their chocolate factory in the Mission, take a tour, then buy as much chocolate as you can afford, because by the end of the tour, you’ll be dying to have some. Found in Outer Sunset only 5 blocks from Ocean beach, this is one of the more popular brunch spots in San Francisco. They’re on the smaller side, but with this they’ve perfected various dishes (like the Dutch Pancake) so where they lack in variety it’s made up for in taste and quality. 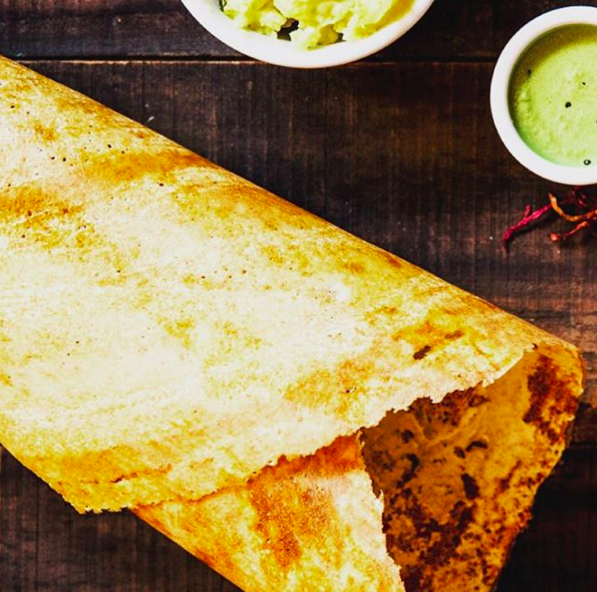 As one of the few South Indian restaurants in San Francisco, DOSA draws quite a bit of attention. 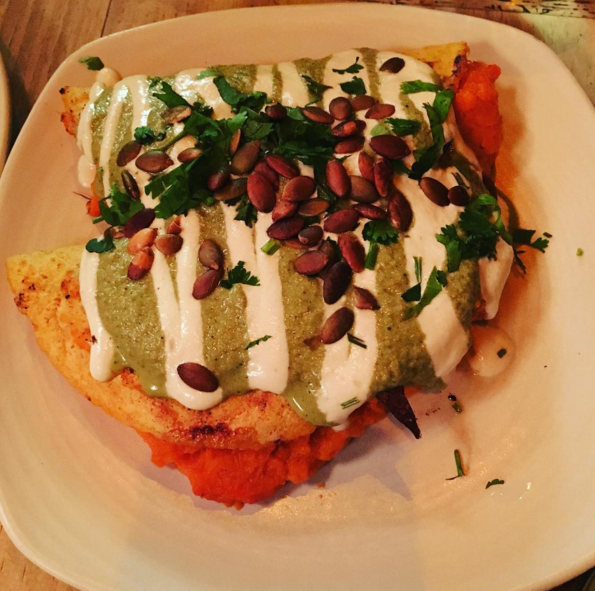 Their savory crepes, small plates and urban ambiance make for a great group meal. 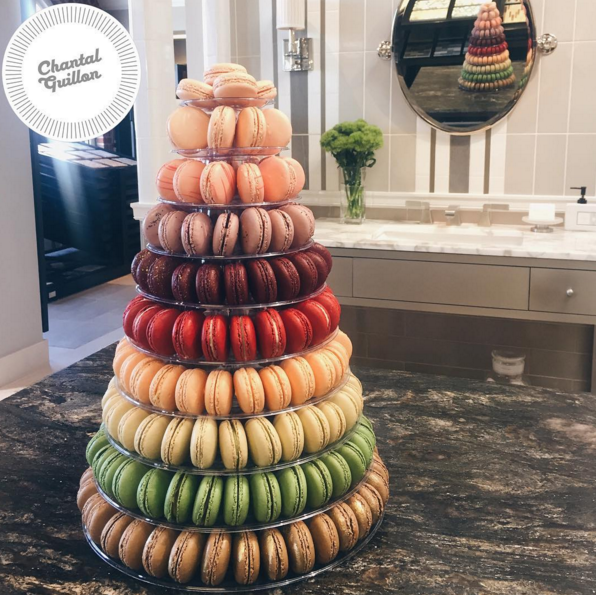 Many bakeries claim to make the best macaron, but Chantal Guillon has dedicated their business to making high quality macarons and you can tell. They offer a wide variety of flavors year-round, as well as seasonal options, so you’ll have no trouble getting at least a dozen for yourself. Now Gracias Madre may seem like another Mexican restaurant, but in reality it is a vegan Mexican restaurant, not something you see very often. You’re probably pretty skeptical, but give it a try and you’ll see that you don’t need meat to make tasty Mexican food. 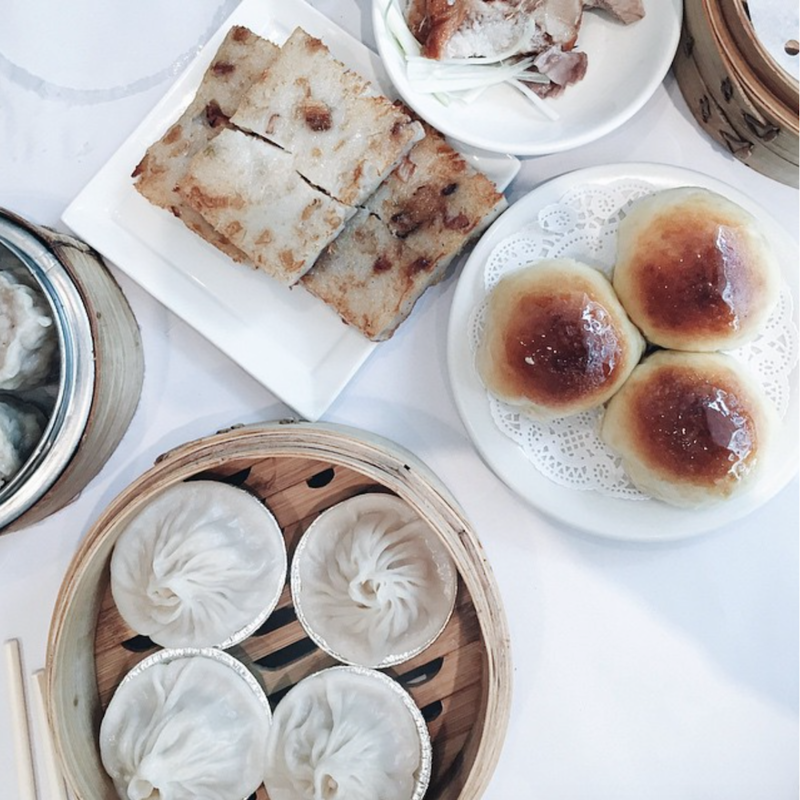 State Bird takes the concept of dim sum on carts and apples that to their small plates, which are constantly different in an ever changing menu. The unique dining experience and excellent food make this restaurant an experience you won’t want to miss. What better place to get Mac & Cheese than a shop that specializes in wine and cheese? 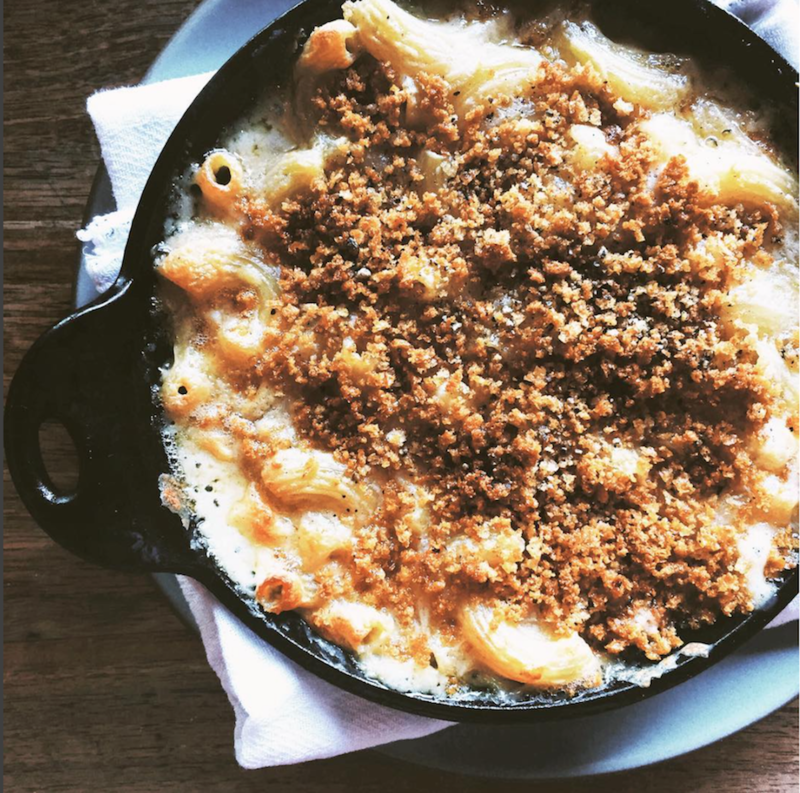 Their rendition of Mac & Cheese is simple, with a couple of different cheese and breadcrumbs, which is classic and delicious. While you there, you might as well order a cheese tasting plate and stay a while. 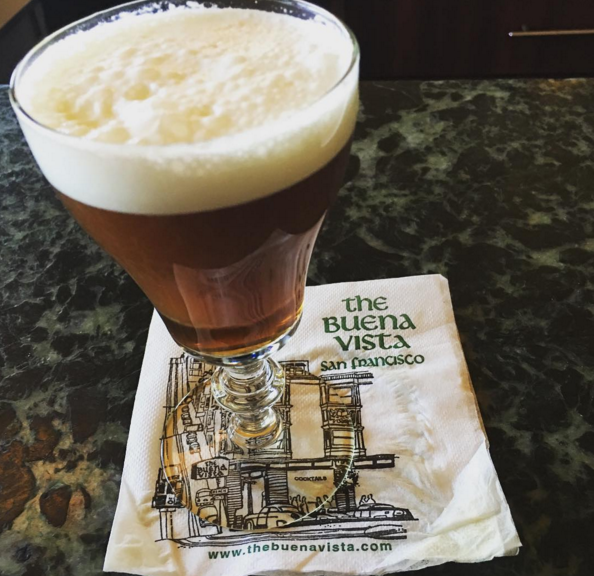 Buena Vista has been around for years making the city’s best Irish Coffee. 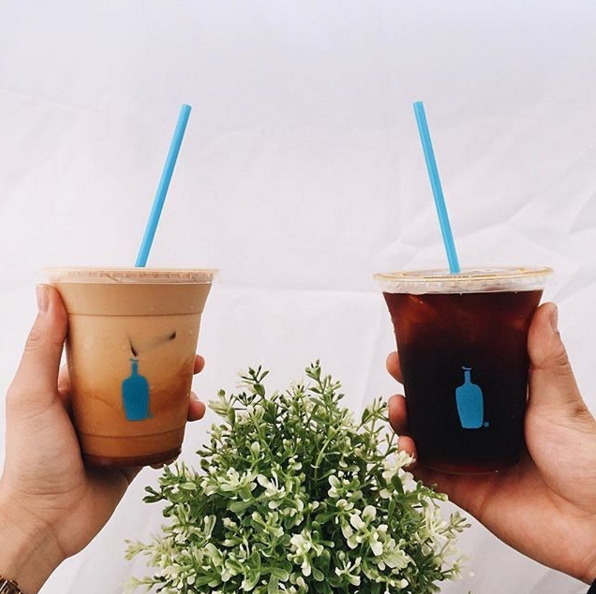 The combination of whiskey, coffee and cream attracts people from all corners of the Bay Area so make sure to get there early on the weekends. 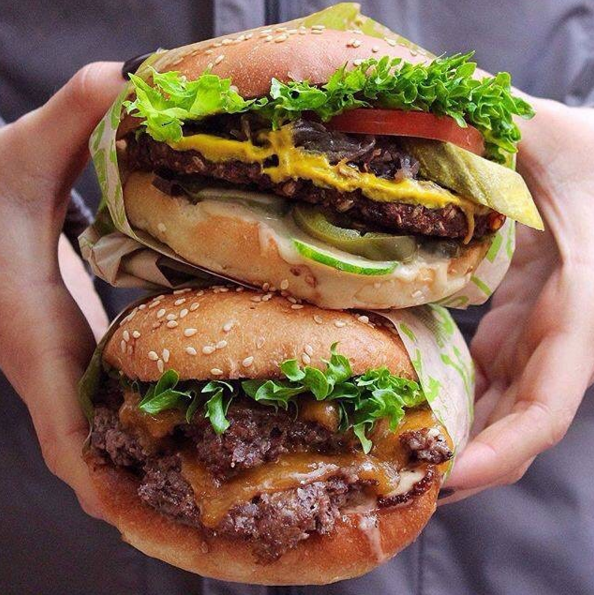 Super Duper Burgers aren’t your typical In n Out burger, they’re a whole lot better. They keep it simple with traditional burgers with the options to add some toppings, but really, what more do you need in a burger (besides some fries). Mission Pie’s goal of making sustainable (and tasty) pies is something they hold close to them. Each day they rotate their pie menus, assuring freshness and pies of the highest quality. 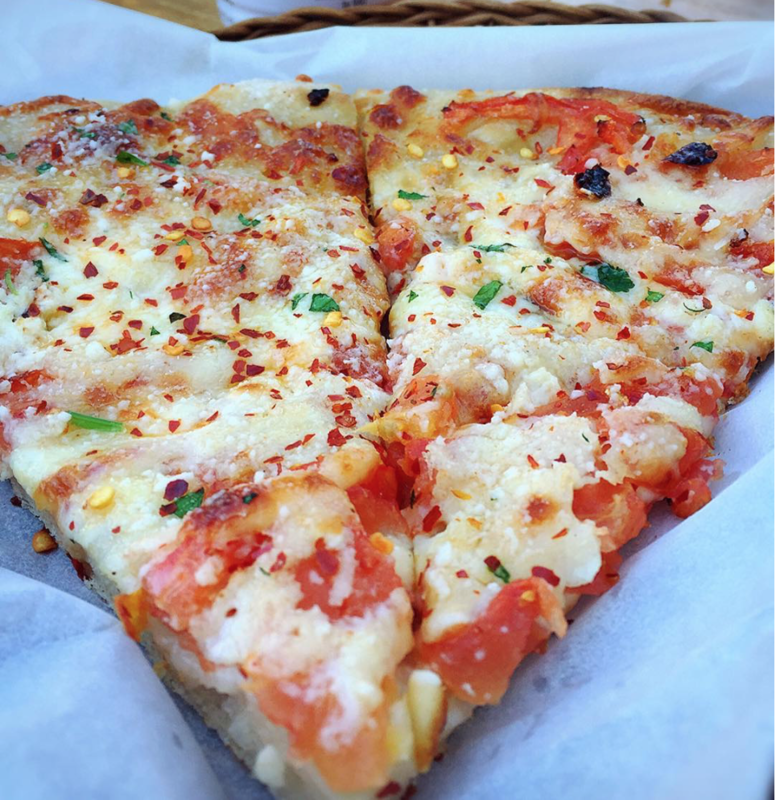 So if you’re looking to score a solid slice, look no further, Mission Pie is the place to go. 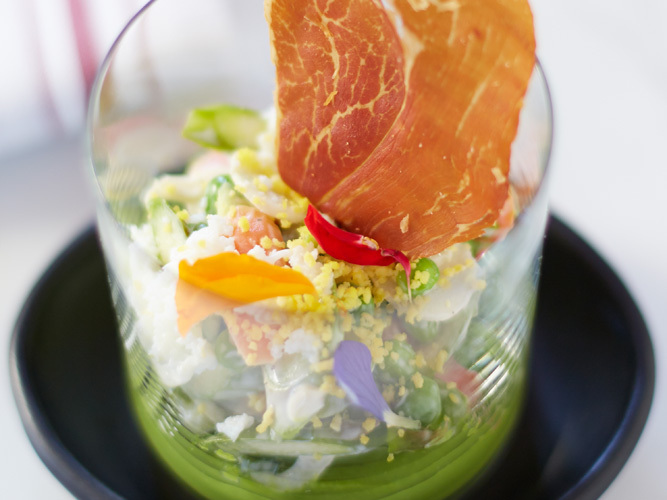 There you have it, a list of 50 places to eat in San Francisco and what to eat. But know that there are MANY other restaurants and eateries in San Francisco worth trying, so stop reading and go out and eat.